Ireland’s London embassy refused to accept a letter condemning the state's assault on anti-austerity activists while an RT cameraman filmed on Wednesday. The Irish state is fearful of "political policing" gaining global media attention, campaigners say. Following three days of “heavy handed” dawn raids on the homes of Irish anti-austerity activists, a solidarity protest was held outside the Irish embassy in London on Wednesday. The demonstration was organized after 11 Irish anti-water charges campaigners were arrested, detained and questioned by police. The campaigners in question maintain they were arrested on spurious grounds. Among those hauled into police custody were socialist TD (MP) Paul Murphy, and leftist Dublin councilors Mick Murphy and Kieran Mahon. All three men are public representatives of Ireland’s Anti-Austerity Alliance, which has campaigned tirelessly against the Irish government’s debt repayment strategy to international and EU creditors. Following several hours of questioning, they were released without charge. Other anti-water charges campaigners arrested by Irish police include two boys aged 16 and 14. Ten officers were reportedly dispatched to arrest the 16 year-old, while six officers showed up at each of the remaining activists’ doors. The campaigners were detained in police custody in connection with an incident at a community demonstration in Dublin last November involving Ireland’s Minister for Social Protection. A criminal investigation regarding the alleged false imprisonment of Minister Joan Burton at the rally is ongoing. Burton's car was reportedly obstructed by protesters for two hours during the demonstration while she remained seated in the vehicle. Additionally, members of her team say they were assaulted as police escorted them from the scene. Irish TD Paul Murphy, who was removed from his house at 7am on Monday by police, told RT the arrests were “politically motivated,” and designed to intimidate Ireland’s anti-water charges movement. The movement opposes the Irish government’s recent policy shift on water taxation. Campaigners warn the government's water charges are a veiled austerity tax that many Irish citizens can't afford to pay. Murphy stressed the timing of the arrests, following the election victory of Greece’s leftwing Syriza party, is worth noting. “We have an establishment that is scared, scared that the lessons of Greece will be learnt, that there is an alternative to austerity and the establishment parties can be ousted,” he said. The TD for Dublin South-West said he was unsure who had orchestrated the arrest of the political campaigners. He suggested the call may have come from the upper ranks of Ireland’s police force or the Irish government itself. Murphy argued the primary objective was to “criminalize the anti-water charges protests,” and quietly quash dissent. Wednesday’s protest outside the Irish embassy was organized by the Socialist Party of England and Wales. Neil Cafferky, a member of the party, told RT the arrests of political campaigners in Ireland were designed to undermine Ireland’s anti-water charges movement and wider political left. Protesters had informed the embassy of the letter prior to the demonstration. Embassy officials refused to accept it, however, while an RT cameraman remained on the scene. They subsequently accepted the letter once the cameraman had left. “The eviction of the RT cameraman from the embassy really does show that the Irish government is not at all comfortable with the scrutiny these arrests are attracting worldwide,” a spokesman for the protesters said. Demonstrators have gathered in multiple rallies across Dublin in recent days to protest against what they say is the Irish establishment's attempt to stamp out dissent. Dublin’s recent wave of dawn arrests is not the first phase of alleged political policing to surface in Ireland. 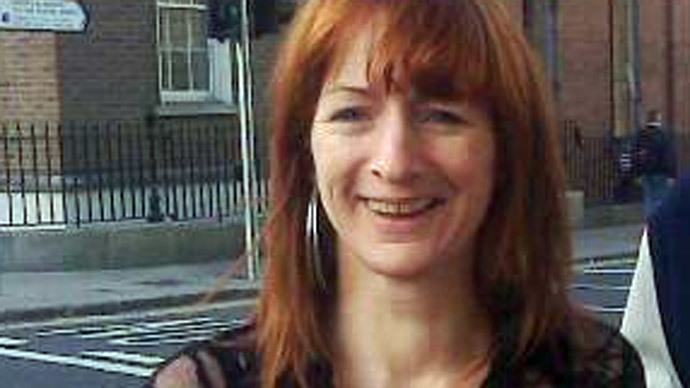 In January 2013, socialist TD Clare Daly was arrested for supposed drink driving. She was handcuffed outside her car, and subsequently brought into police custody. Following official tests, it transpired she was well below the state’s legal alcohol limit. Although the incident was reported widely in Ireland’s press, her name was eventually cleared and no charges were brought against her. The timing of Daly’s arrest is significant, Irish TD Paul Murphy said. Ireland’s Prime Minister Enda Kenny insists Irish police operate independently of the state’s government. Probed on the arrest and detainment of Murphy, Kenny declined to comment. As he made his way to a ministerial meeting, he said the issue was a matter for Irish police. “They run their operations completely independent of Government,” he said. Ireland’s Minister for Public Expenditure and Reform, Brendan Howlin, also dismissed allegations of political policing following the arrest of Murphy. Howlin said Ireland’s police force and prosecutorial system is autonomous from its government. “I reject any notion of political interference with policing,” he said. 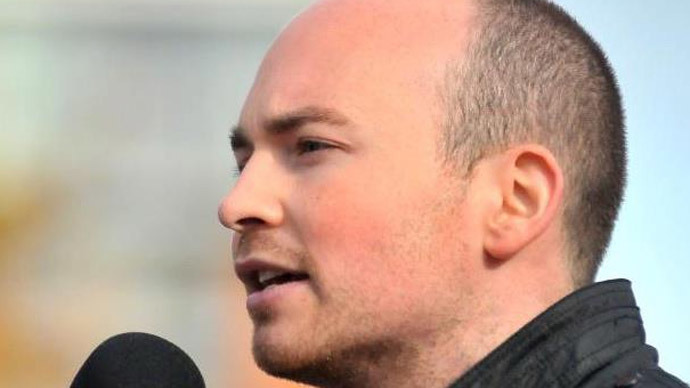 Anti-Austerity Alliance TD Paul Murphy was silenced when he attempted to raise concerns over “political policing” in Ireland’s parliament on Thursday. The Ceann Comhairle, responsible for chairing Irish parliamentary debates, ruled he was out of order. Murphy's microphone was subsequently switched off. 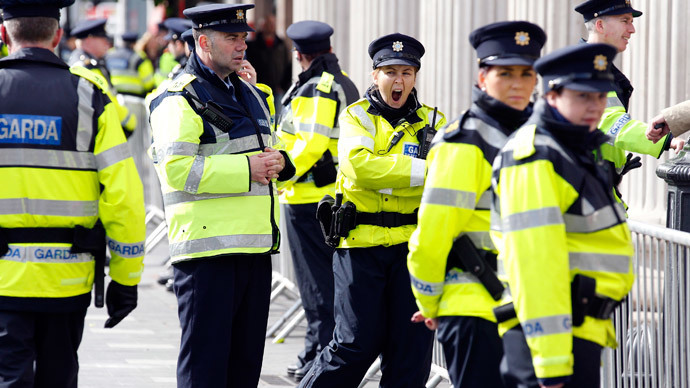 Prior to the arrest of Irish campaigners this week, a political meeting in Dublin held in solidarity with Greece’s newly elected government was monitored by two members of Ireland’s Special Branch police force.